Posted on Fri, Feb 24, 2012 : 5:57 a.m.
Three coaches, six administrators and one administrator-turned-professor — that's the composition of the top-10 earners at Eastern Michigan University in 2011. Together they made nearly $2.39 million, up slightly from $2.37 million in 2010. 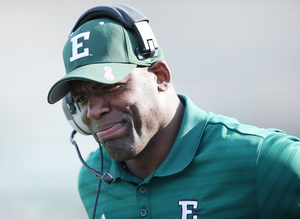 Eastern Michigan head coach Ron English on the sidelines during an October game against Western Michigan at Rynearson Stadium. English coached the Eagles through their winningest season in more than a decade last fall. All but one person on the list —head football coach Ron English— make under $300,000. English coached the Eagles through their winningest season in more than a decade last fall. He also took home $367,920 in 2011, a 24.2 percent increase from his 2009 earnings. 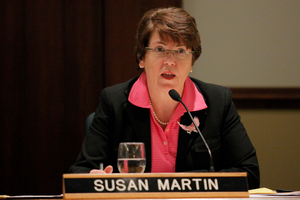 EMU President Susan Martin is the school's second-highest earner, collecting $295,000 in 2011, a 3.7 percent raise from her 2009 earnings. Former provost and interim president Donald Loppnow, currently a social work professor, rounds out the top-10 earners at $195,000. English might be the top earner at EMU, but Martin said his current rate is "slightly under market in the MAC right now." Head women's basketball coach Suzy Merchant left EMU to lead Michigan State University's team in 2007. Merchant now makes more than $340,000 as a Spartans coach. English's salary is paid primarily from the school's general fund. Earnings-wise, his salary puts him in the mid-range of MAC football coaches, according to a USA Today salary database. English makes more than coaches at Central Michigan University, Kent State and the University of Buffalo. Assistant football coach Phil Snow, who made $214,000 in 2011, also is among the highest paid EMU employees, ranking sixth. 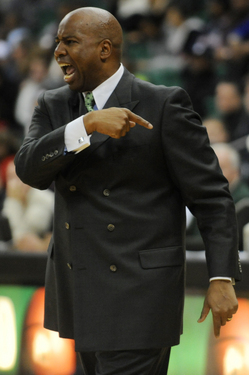 Former EMU men's basketball coach Charles E. Ramsey made $203,000 in 2011, despite being fired in April. Former men's basketball coach Charles E. Ramsey was 2011's seventh-highest earner, pulling in $203,000, despite the fact he was ousted in April during the last year of his contract with EMU. Ramsey was replaced by Rob Murphy, who makes $210,000 per year plus incentives. Like English, Snow, Ramsey and Murphy are funded primarily through the school's general fund, which includes income from student tuition and fees and state appropriations. The football program funds $247,000 of the salaries of its 10 full-time coaches, who combined make just under $1.5 million, said EMU Associate Athletic Director Mike Malach. That money comes from guaranteed football games, such as the away matches against University of Michigan and MSU. EMU is paid between $400,000 and $450,000 to play those schools, Malach said. Athletic Director Derrick Gragg's earnings are also funded by the general fund. Gragg is EMU's eighth highest-paid official and earned $196,000 in 2011. During her tenure, Martin has been an avid supporter of the school's athletic department, insisting that a diverse athletic program is part of the student experience EMU is expected to provide. "It's not unusual," Martin said of the funding model. "Will athletics be self sustaining? No. Only a few schools in the country can do that," Martin said. "Our hope is to generate more interest." How does Martin's $295,000 salary compare with other MAC-level Michigan schools? Western Michigan University's president brings home upward of $366,000 each year, and in 2010 Central Michigan University's president earned a base salary of $350,000. University President Susan Martin speaks during an Eastern Michigan University Board of Regents meeting at Welch Hall in Ypsilanti on Feb. 21. "If you benchmark it, you'll find that our positions are low," Martin said. "We've held the line on salaries the past few years." Over the past few years, EMU has been "cautious about pay raises," Martin said. Last year, the 100 highest paid administrators didn't receive raises. The school also eliminated cellphone bill reimbursements, saving roughly $200,000 a year. "We think that shows leadership," Martin said. "As leaders we're not going to ask our employees to do anything we wouldn't do ourselves." Martin said EMU considers salaries offered at other MAC schools and comparable public institutions when setting rates for new hires. That process was followed when hiring Kim Schatzel as provost in November. Schatzel was hired at a $275,000 rate, slightly above the $274,000 her predecessor Jack Kay made in 2011. Kay was the third-highest earner at EMU in 2011. EMU General Counsel Gloria Hage collected $227,000 in 2011. Hage joined EMU in 2010 after leaving her post as deputy general counsel of U-M, a position she had occupied since 2003. Thomas Stevick, EMU's vice president of development and director of the EMU foundation, earned $221,000. Stevick spearheads the school's fundraising efforts. During the 2010-2011 academic year, EMU raised $5.1 million. Thus far in 2011-2012, the school has nearly doubled that amount and raised $9 million. Chief Financial Officer John Lumm earns $197,000. Lumm this year is tasked with controlling EMU's $3 million shortfall, which he expects to eliminate by June. Sat, Feb 25, 2012 : 7:23 a.m. I really think someone needs to dig deep into what EMU has been spending on construction and landscaping. A lot of people were laid off last year due to budget cuts but they are STILL spending tons of money on &quot;appearances&quot;. Try buying less rocks, rock benches, etc.... and bring those people back!! Sat, Feb 25, 2012 : 12:22 a.m. It should be noted that EMU recently announced it was &quot;saving&quot; $120,000 by closing its Flint location. It should be noted that EMU recently announced it was giving its Head Football Coach a $70,000 raise. Fri, Feb 24, 2012 : 11:11 p.m. It should also be noted that the earnings figures specified in the top 20 list or the story could include a variety of one-time or recurring payments or bonuses in addition to one's base salary. For instance, football coach Ron English's earnings this past year include a bonus for being named MAC Coach of The Year. Faculty members sometimes earn extra pay for teaching overloads, summer term work, special committee service or other activities in addition to their regular workload. Fri, Feb 24, 2012 : 10:55 p.m. It should be noted that the yearly earnings reported in this story were total, W-2 reported compensation from Eastern Michigan University. The earnings figures were obtained through a Freedom Of Information Act request by AnnArbor.com. Note: Geoff Larcom is executive director of media relations at Eastern Michigan University. Fri, Feb 24, 2012 : 9:43 p.m.
Alas, the good die young! Fri, Feb 24, 2012 : 7:36 p.m.
Ok I just read Nathan's article on how 76,000 jobs are unfilled in Michigan and now this. As long as people in education are overpaid I will never support more state aid to education. That applies to K-12 when a school like AAPS pays a superintendent $250,000. I do not hold this opinion in areas like football coaches, if the programs by ticket sales pays the salaries. Only where tuition and state aid is used to fund these salaries. Cut the pay and try to hire more unemployed people. Fri, Feb 24, 2012 : 3:51 p.m. The top 20 salaries listed add up to $4,236,918, mostly paid by tax dollars, either directly or indirectly. If Ypsi's income tax passes, $21,184.59 of that will be returned to Ypsi taxpayers. In 2010, The Eastern Echo reported that the top 50 EMU employees were paid 8,812,783 of state taxpayers' dollars. At .5% each, that would have brought 44,064 (rounded to the nearest dollar) back to city taxpayers. Fri, Feb 24, 2012 : 5:38 p.m.
EMU is a gigantic, tax-exempt enterprise that survives because money that doesn't belong to it is taken from people, in the form of taxes. Do you feel the same about the $300K plus being spent on a football coach? Is there some line in the state constitution that says every state university has to have a football program? Seeing some cash return on investment for city taxpayers is hard to argue against if you are a tax-exempt entity that survives on taxpayers' money. Fri, Feb 24, 2012 : 4:55 p.m. I love the idea of taking money from people that doesn't belong to me. I'm glad to Ypsilanti government get in on the scam too. Fri, Feb 24, 2012 : 3:44 p.m.
Ypsilanti is going to see a windfall from these people when they implement their income tax. Fri, Feb 24, 2012 : 5:40 p.m.
$21K spread over 20 people isn't quite a windfall, but it's something, and it's only fair to the property owners in the city, who I believe should be paying less, not more. Fri, Feb 24, 2012 : 3:34 p.m. If they fired half of them, no one would notice. Fri, Feb 24, 2012 : 3:11 p.m.
A football coach of a small state university earns nearly as much as the President of the United States. Fri, Feb 24, 2012 : 7:38 p.m.
As long as the salaries are covered by ticket sales or endorsement funds, I have no problem with this. Successful programs can pay for themselves and like at Michigan an entire athletic department. However if general fund money is necessary then it has to stop. Fri, Feb 24, 2012 : 3:38 p.m.
What about coaches at bigger universities who make exponentially more than the president of the united states. Fri, Feb 24, 2012 : 2:50 p.m.
Well it seems like EMU pays their administrators and coaches a fair compensation. Nothing outrages. I dont understand the point of this article. Fri, Feb 24, 2012 : 2:45 p.m. Here is some further detail on away football game guarantees that help pay coaches' salaries: 2010: Ohio State ($850,000); 2011: Michigan ($455,000), Penn State ($550,000); 2012: Michigan State ($650,000), Purdue ($750,000). Fri, Feb 24, 2012 : 3:37 p.m.
Fri, Feb 24, 2012 : 2:53 p.m.
Nice try Geoff, These tar &amp; feather games hardly touch the overall expense of the football program. Student fees are the real financial supporter. Fri, Feb 24, 2012 : 2:29 p.m.
Fri, Feb 24, 2012 : 2:58 p.m.
Part of the flaw in the system is once an administrator returns to faculty (which they always do) they are still paid a percentage of their former administrator salary thus accounting for the bloated faculty salaries that you see on the list. Fri, Feb 24, 2012 : 2:15 p.m.
How much is college football worth? How much is education worth? This is not unique to Eastern Michigan - I believe the same argument about athletic salaries (&quot;we have to pay to keep them&quot;) is used for all major colleges and universities - and on Wall Street, school superintendents, university presidents and corporate presidents. Fri, Feb 24, 2012 : 1:59 p.m.
Fri, Feb 24, 2012 : 1:36 p.m.
Fri, Feb 24, 2012 : 1:29 p.m.
$367,000 per year to teach grown men how to throw balls around, grown men essentially playing a children's game. It's unbelievable. For $30,000 per year I served in the Iraq War and sacrificed more in one day than ANY of theses clowns ever will; and I would do it again in a heartbeat. These people actually believe that they deserve this much money for doing a job where they are in perfect safety, no one is trying to kill them, and they get to go home to their families every night. This is our America folks: we pay politicians and coaches hundreds of thousands of dollars while we pay cops, soldiers, EMTs, and teachers chump change to do the important jobs. That is a large part of why our country is in decline. We pay useless people tons of money for their petty contributions and we pay chicken feed to those who make REAL contributions. Things will not start getting better unltil we change our whacked-out priorities. Sat, Feb 25, 2012 : 3:05 a.m.
Fri, Feb 24, 2012 : 7:17 p.m. Thank you for standing a post. Now for the brutal clue. Infantrymen can be made. They are used in numbers. The net contribution of any single one is the base unit measure of combat effectiveness. We have to grow generals. We cannot make them. They are precious to us because they control vast outcomes. They are precious because they have been evaluated for success over and over and have earned our trust through accomplishments. We don't pin stars on the new recruit right out of boot and say &quot;win the war.&quot; In the civilian world, we do much the same. We reward based on the position's ability to influence scores of outcomes and the trust we place in that position. We love teachers. We do however expect technical competence. That we can teach. We let new teachers have a classroom because we think they can do the job on day 1. Now, educators are what accomplished teachers become and we really need to work at finding ways of retaining, recognizing, and spreading the influence of these folks. Pay more for scores of positive outcomes in education - yes. What we argue about is how to measure the difference between day 1 teacher and educator whose influence we want felt everywhere. It may be that &quot;administration&quot; is not the means to propagate or recognize excellence - in any position let alone education. making you the &quot;boss&quot; might not be best for the mission. You remember that. You've seen officers who were not your first choice to handle the platoon in combat. How do you always put the right people in the right place and reward them accordingly ? They'll be a crowd at your Nobel Laureate dinner when you crack that one. Fri, Feb 24, 2012 : 5:43 p.m.
You had it made, I was getting paid $120.00 a month in Viet Nam and that included combat pay and no video games to play. I do agree they are all over paid. Fri, Feb 24, 2012 : 3:19 p.m. They real reason coaches, and administrators get paid so much is because those types of positions are harder to come by and harder to fill with capable individuals. This isn't a knock, but EMT's, teachers and such aren't as difficult to find and entities pay a lot to attract and maintain top talent in top positions. Fri, Feb 24, 2012 : 1:50 p.m.
Fri, Feb 24, 2012 : 1:12 p.m.
Fri, Feb 24, 2012 : 3:58 p.m. I understand your point, but there isn't any spending that can be justified, and most certainly not spending increases, when spending is outstripping revenue. All the rationalization in the world -- it's less than everyone else, they haven't raised their costs as much, etc. -- doesn't make giving people raises ok if revenues don't exceed expenditures. Raising tuition to cover increases in salary is disgusting and wrong, whether it is outrageously egregious, like at UM, or less outrageously egregious, like at EMU. Just how much IS enough?? Fri, Feb 24, 2012 : 12:58 p.m.
EMU eliminated 81 positions last summer -- at a &quot;savings&quot; of around $4 million -- adding to the State's unemployment rate. EMU is now dealing with a shortfall of $3 million. EMU is constantly whining to the State that it needs an increase in state appropriations? OUTRAGEOUS! How much longer until an Emergency Financial Manager is assigned to EMU? Fri, Feb 24, 2012 : 3:50 p.m.
Kinda going overboard there, don't you think? Fri, Feb 24, 2012 : 11:16 a.m.
And what was that EMU $$$ shortage we just read about 'here' ?! ?